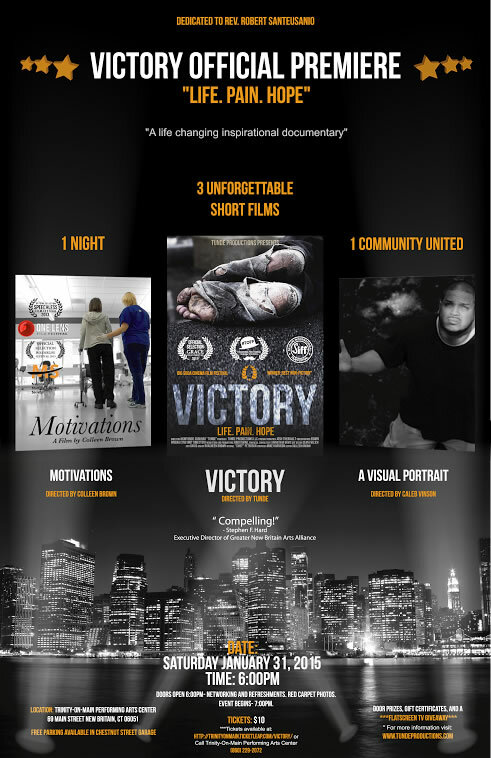 “Victory: Fire in the Heart of the City”, a documentary about a 2013 “Convoy of Hope” initiative organized by Bishop Rasheen Brown, his ministry and others, will premiere Saturday, January 31st at 6 pm at Trinity-On-Main. Alton Brooks, DTC leader and longtime civil rights activist in the city, will receive an achievement award following Akintunde Sogunro’s documentary. The documentary chronicles the organizing and events of August 17, 2013 at New Stadium when over 1,200 volunteers gathered to feed over 4.500 residents of a city once glorified as the hardware capital of the world. Fire in the Heart of the City” is a documentary film that will cover all stories, interviews, fundraisers and testimonies of hope which sum up to the Convoy New Britain Event — the third community event held as part of the “Purpose” movement. Admission to the premiere is $10. New Britain’s Mary McLeod Bethune Club will kick off Black History Month in the city with a Sunday afternoon, February 1, program on the history of African Americans in New Britain. The program will be held at 3 p.m. at CCSU’s Institute for Technology and Business Development (ITBD) in downtown New Britain (185 Main Street). Dr. Evelyn Phillips, CCSU Anthropology Professor and organizer of the Afro-American Oral History Project, will be the guest speaker. Janice Edwards, member of the Bethune Club, says “we will feature the first Black Americans who came to New Britain and the achievements of the past and present.” The history project is adding information and personal histories of the city’s African American community to the New Britain Public Library and CCSU’s Elihu Burritt Library. It takes 27 individuals who reflect New Britain’s diversity and strengths to form a municipal slate for all city offices. On the November ballot will be elections for Mayor, Tax Collector, City Treasurer, Ward and At Large Council, Board of Education, Board of Assessment Appeal. Labor donated. Any costs associated with this message paid for by New Britain Democratic Town Committee, Post Office Box 2112, New Britain, CT 06050. John Valengavich, Treasurer. Approved by John McNamara. If you do not wish to receive updates from New Britain Democrats write “CANCEL” in the subject box and reply to newbritaindemocrat@gmail.com. THANK YOU. This entry was posted in Civil Rights, Community, Meeting/Event, Weekend Update. Bookmark the permalink.